Kojima: Metal Gear Solid Rising might be "hard to get into"
You'll need to be "open and willing to try new things". Some franchise fans might find Metal Gear Solid: Rising a little tough to get to grips with, according to series creator Hideo Kojima. Speaking in an interview with Official PlayStation Magazine, Kojima suggested that the game is something of a departure from the series' stealth-orientated roots. "If somebody thinks 'I love Snake' and just really wants traditional stealth gameplay and that experience, then it may be hard to get into Rising, but for people who are more open and willing to try new things, it shouldn't be a problem," he said. 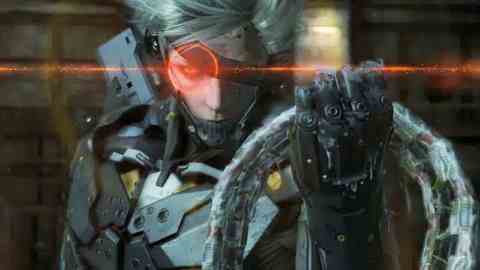 "Raiden in Metal Gear Solid 4 was received very well, and I wanted to keep going with that direction in Rising. The people who liked him in 4 will like him in this, but it's a personal preference." The long-in-the-offing title is expected to get a full re-reveal at the Spike VGA event on 10th December.